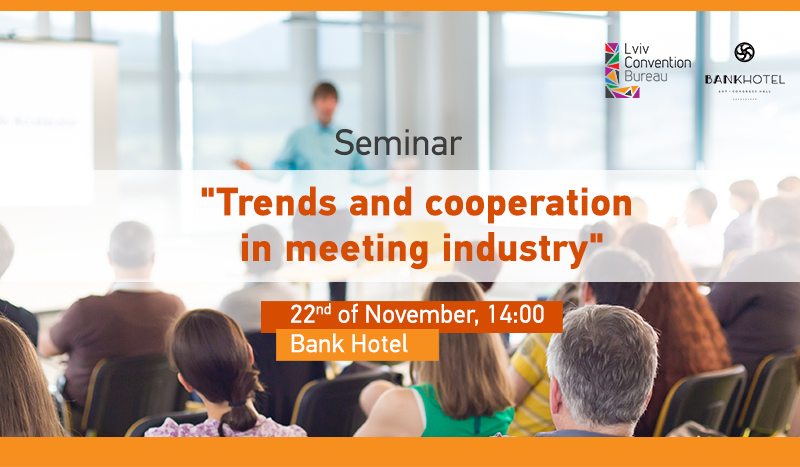 An international seminar “Trends and сooperation in the meeting industry” will be held in the hotel “Bank Hotel” (Lystopadovogo chuny str., 8) on November 22 at 14:00. The seminar is organized by Lviv Convention Bureau. 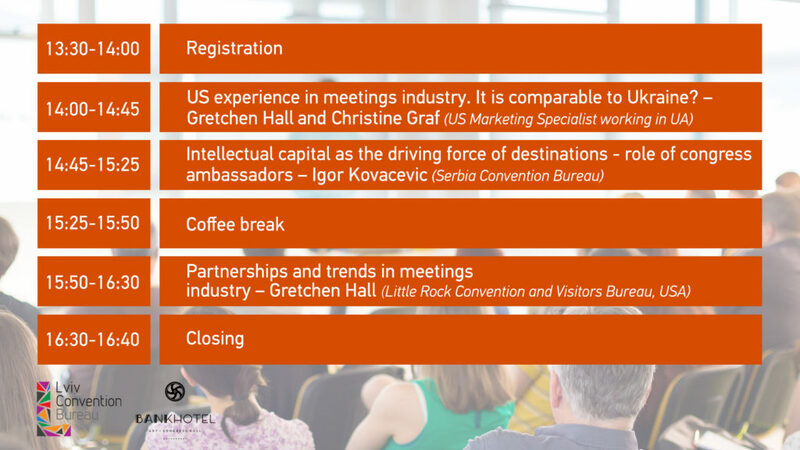 We invite Lviv Honorary Ambassadors, conference organizers, managers of conference hotels and conference halls, as well as events service providers to participate in the seminar. Registration for the event is open untill 18th of November, 23:59. Participation is free after registering. Please note, that there is limited number of places and you will be registered as a participant only after receiving the confirmation from organizers team.